I tell you what you probably don’t worry about enough and that’s how posh your coffee is. You’re labouring under the idea that coffee is the blameless, milky drink you have at elevenses each day, hopefully accompanied by a ginger nut, aren’t you? Ha. Not so. Coffee, these days, is a big social signifier. Witness, for example, the rows that broke out this week when Waitrose stopped giving free coffees to those in possession of a myWaitrose card. Only customers who actually bought something from Waitrose could claim their free latte, the chain declared. Scenes. Such scenes in places like Esher and Cheltenham. Customers livid at the thought that they’d have to buy another packet of pine nuts to get their hot drink. Too bad. Waitrose has spoken. Now that avenue of pleasure is closed off and shoppers must find a new way to feel superior about their coffee. But if you’re one of these mournful myWaitrose cardholders, stay calm. There is a wealth of coffee options out there so you don’t have to feel embarrassed. First off, you could buy a Nespresso machine. The machines that come with little coffee pods that look like those cartons of UHT milk you get on trains. Then you can become the sort of person who bangs on at dinner parties about why you prefer the purple ‘Arpeggio’ coffee pods to the red ones, which always confuses me because I thought arpeggios were something to do with music. 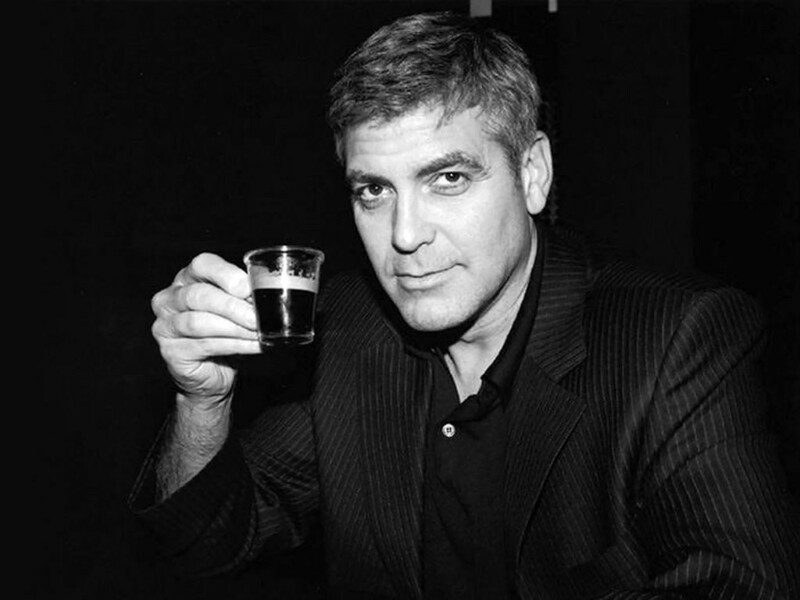 They’re quite posh, Nespresso machines, although slightly let down by the fact that George Clooney won’t stop talking about how much he loves them. An American, trying selling us coffee! What a good laugh. Alternatively you could buy packets of ground coffee, which my parents do, and row about how much to put in the cafetiere and then row about whether you should then put the grounds down the sink or in the bin. A row is always terrific fun early in the morning. But it’s quite posh because it feels exotic, doesn’t it, tapping out fresh coffee from a bag into a plunger? Some people then use those milk frothers from Lakeland but, I mean, come on. This is a cup of coffee. Not Masterchef. Then there are those funny little metal pots which look like mini kettles which people put on their stove. Espresso pots, Google calls them. I didn’t study engineering at university so I have no idea how they work but it looks like a lot of work to me. They’re perhaps a fraction too Italian to be really posh. Unless you have a butler in which case make him faff around with the filter papers. I, slightly embarrassingly, have recently taken to grinding my own beans and then using a plunger. But in my defence, it’s only because I was given some expensive coffee beans from Hawaii and subsequently bought a coffee grinder (dead cheap, £7 or something) from Amazon. And it is delicious, even though making coffee this way makes me feel like I should be living in trendy East London, wandering about dressed like a scarecrow. My late grandmother, quite the grandest person I knew, would only drink Nescafe. A war time thing. So I still think of that as quite posh, even though she would generally have a cup of instant, then spy some sort of food matter loitering on my cheek, take a tissue from her bag, lick said tissue and rub it into my face. I smelt of Nescafe for the entirety of my childhood. The ultimate cup of coffee may surprise you. I quizzed a coffee snob called Nick about this last weekend, and Nick said you must only buy beans or grounds that have been roasted just two days before, then use them within a month. ‘But,’ he added, ‘I have to say if you’re really stuck, McDonalds coffee isn’t half bad.’ Better, Nick reckoned, than all the high-street coffee chains. So there you have it myWaitrose shoppers. McDonalds. You might not have been there. It’s the one with the big golden arches outside.